Click the button below to add the Addison County Vermont 1871 - F.W. Beers - Old Map Reprint - VT County Other to your wish list. Publisher/Engraver - F.W. Beers & Co. 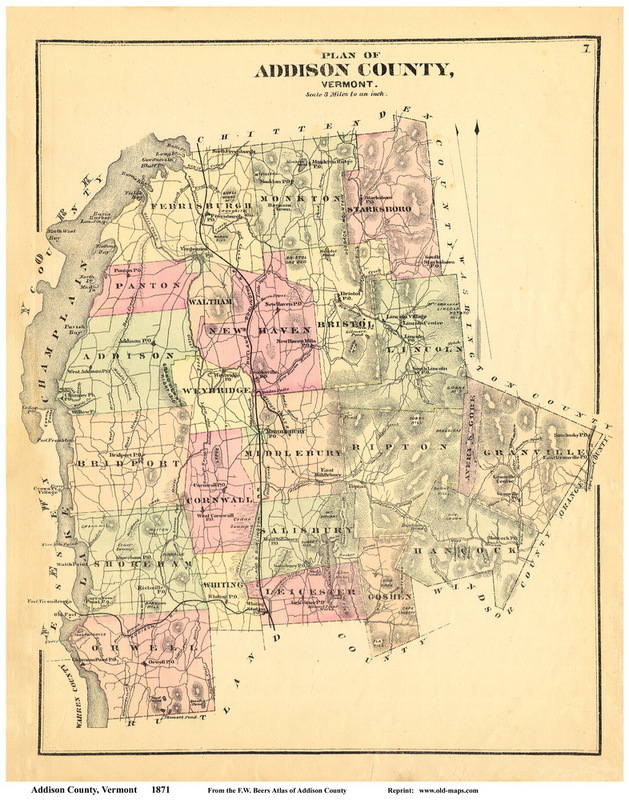 Source - "Atlas of Addison Co. Vermont, From Actual Surveys by and under the Direction of F.W. Beers"